Whelanapier have been providing security solutions for over 40 years. Our team of specialist security experts deliver straightforward turnkey and bespoke solutions and installations to government agencies, large scale building projects, Irish (SME) businesses and domestic customers nationwide. Our solutions range from the design and installation of the most popular domestic systems, to the more complex solutions associated with major commercial projects. We offer a wide range of state-of-the art security products, along with post-installation maintenance and a range of monitoring options to suit every requirement and every budget. Whelanapier is a proud member of the wholly Irish-owned Top Security Group. The largest independent security organisation in Ireland, it employs over 2000 staff throughout the Group and operates in Ireland, the UK, Canada, and South Africa. This security and extended pool of expertise, allows Whelanapier to continue to be one of the most successful security companies in the country. 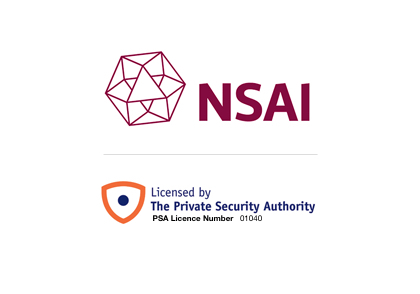 Whelanaper Security is certified by the N.S.A.I. (National Standards Authority of Ireland) and and licensed by the PSA (Private Security Authority). With a commitment to maintaining the highest standards of quality products, chosen with over 40 years of experience, our full range of products and services meet the very highest international standards. 40 years of experience has helped us forge the strongest relationships with designers and manufacturers of the world’s best security systems. As a result, we can assure our customers that we are market-leading when it comes to tackling crime.